Oh me, oh my! I just love the Christmas season, don’t you? It’s all about the cookies and baking this time of year! And I’m perfectly ok with that. 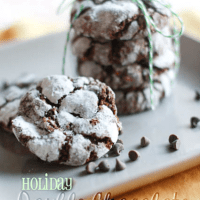 These double chocolate mint crinkle cookies are just perfect for cookie exchanges or for making a double batch and hoarding. Ya know, whatever you want to do. This post is from 2 years ago written by my friend Jayna. It’s just too good not to reshare again! Hope yall enjoy! If there’s one thing I love during the holidays, it’s anything chocolate mint. I’ve been known to eat an entire bag of mint chips that were really meant for baking something! This is one of my mom’s old recipe’s, only difference was, she used regular chocolate chips rather than the mint chips I used. You could swap it out for white chocolate, or peanut butter chips too – I’m sure that would be soooo good! My mother would always make this recipe whenever my school had a bake sale and I needed to bring something. 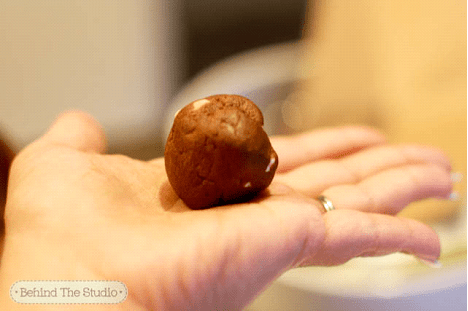 Depending on the size you make the cookies, your dough can go a long way! The other reason was because they were sooo good, there were never any leftovers. 1. 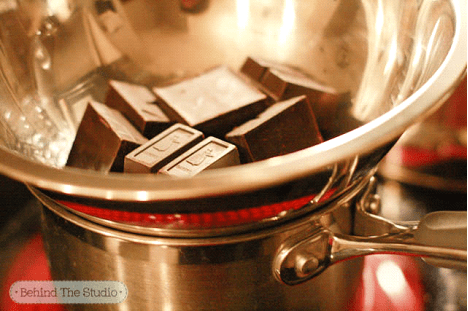 Melt chocolate on top of stove using water bath to melt…not directly on heat. 2. Put it into the mixer and combine with oil and sugar. 3. Add 1 egg at a time. 4. 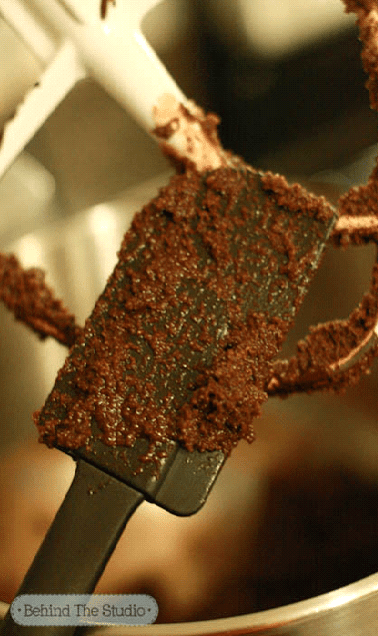 Stir in vanilla and chocolate chips. 6. 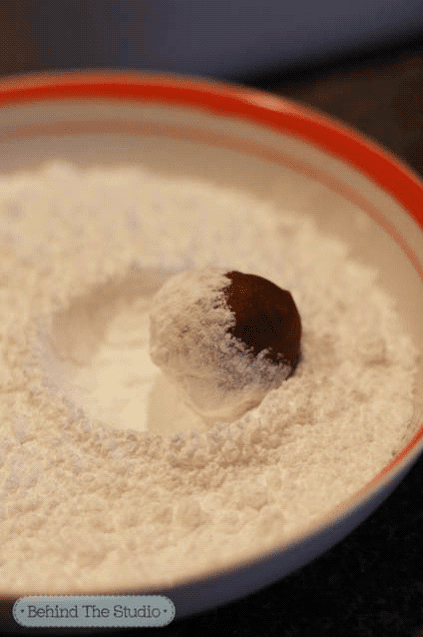 Use a little melon baller to scoop them out or you can use your hands to roll into balls, then roll in the icing sugar, put on a cookie sheet and bake them at 350 degrees for 10 minutes…..yum!! First, I melted the unsweetened baker’s squares over a pot of boiling water, so it melted nicely. Sometimes, melting in the microwave can burn your chocolate – I used to do this, but this is how I melt chocolate now. Then, once it’s all melted, combine it with the sugar and oil and mix it up. Add in the vanilla, and the eggs one by one. Once that’s all combined, add in the dry ingredients slowly. Chill the entire bowl in the fridge for a minimum of 2 hours or overnight. 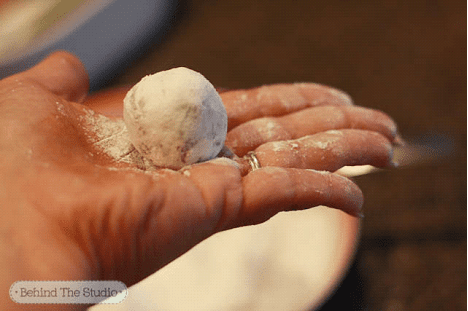 Once it’s ready the dough will be firm, and now it’s time to roll it into 1″ balls. And then coat it in icing sugar before putting it on the cookie sheet. Bake them at 350F for 10 minutes. 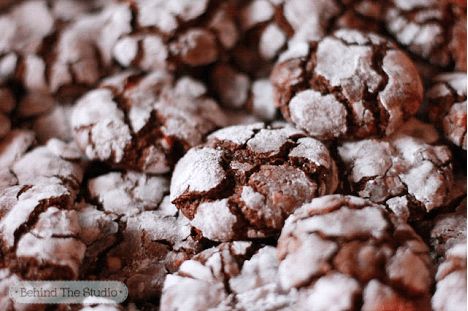 Be sure to use parchment paper to bake on – my cookies always turn out perfect when I do! They also transport nicely in a big tin! Melt chocolate on top of stove using water bath to melt...not directly on heat. Put it into the mixer and combine with oil and sugar. Add 1 egg at a time. Add in dry ingredients...chill for 2 hours, roll into balls about 1"
Use a little melon baller to scoop them out or you can use your hands to roll into balls, then roll in the icing sugar, put on a cookie sheet and bake them at 350 degrees for 10 minutes.....yum!! About how many did this recipe make? It looks decadent and delicious! 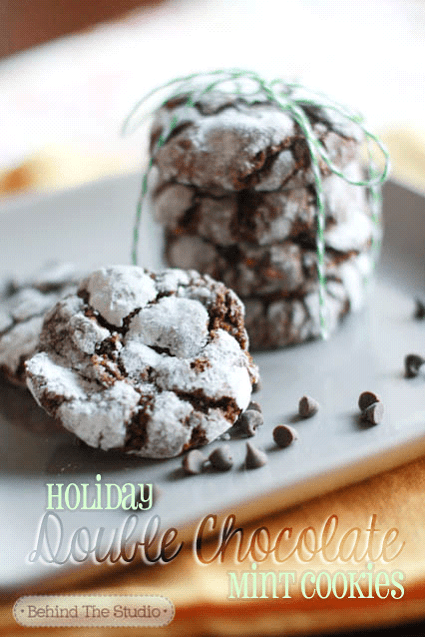 I’d love it if you shared this recipe with Tumbleweed Contessa at Holiday Best. I believe it makes 3 dozen cookies, but I’m not sure. 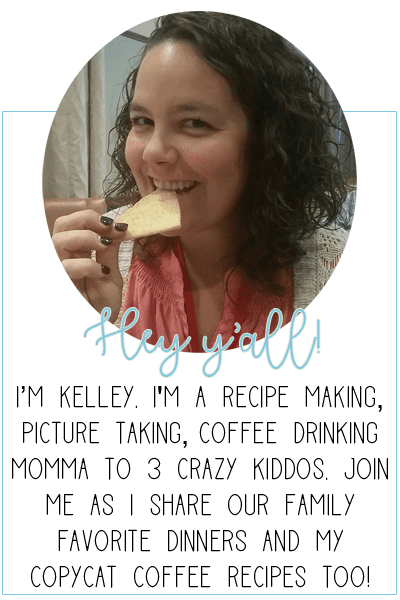 It was a recipe that a friend shared on my site 2 years ago. And thank you for the invite! Ill try and stop by!